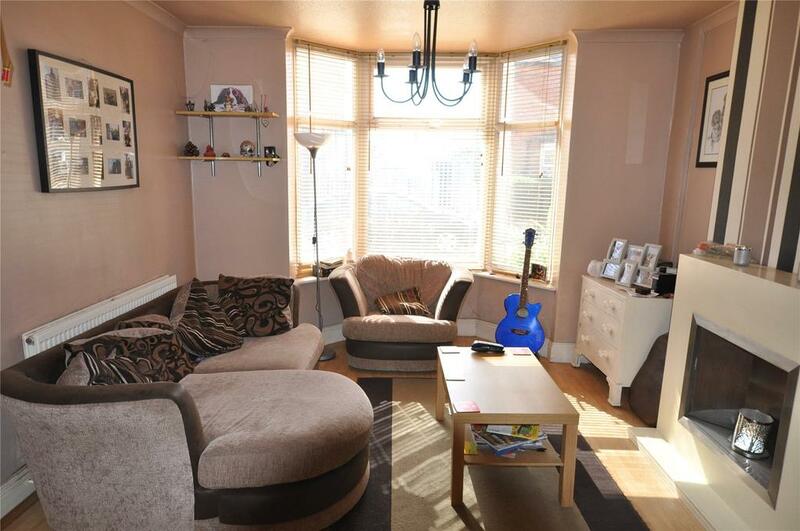 This lovely 3 bed semi detached property is for sale with Harrison Murray for £144,950. It is in lovely condition internally from the look of the photos. It would easily let for £ 650 pcm giving a potential return on 5.3%. This property on Tamar Road looks like it might need a little updating but it is a good size plot and on at a good price £ 127,950. It could let for £ 575 pcm which would give a potential return of 5.3% and could see good levels of capital growth due to the plot size. 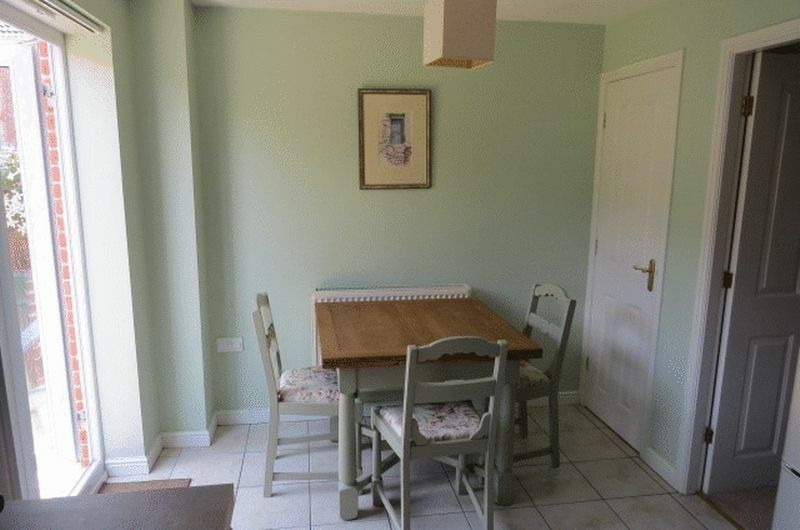 Recently we looked at the rents being achieved in Melton Mowbray after a local landlord rang me after reading the Melton Mowbray Property Blog. He was interested to learn if he was getting the best from his Buy to Let investment. The Melton Mowbray rental market is all about supply and demand (isn’t it so in all parts of the economy?). On the supply side, 41 rental properties have come up for let in the last 31 days in Melton Mowbray. It sounds a lot until you consider there are 1533 rental properties in Melton Mowbray, that means only 2.67% of the rental stock of properties in Melton Mowbray are coming onto the market each month (it is normally around 5%). One reason for this lack of new rental properties coming on the market is the fact that tenants seem to be staying in properties longer. With this lack of supply, newer tenants have to pay more to secure the property they want. And this is the crux of the matter ...properties they want. Older properties in Melton Mowbray, that haven’t been maintained, still retain their wood chip wallpaper from the 1970’s and thread bare carpets have seen their rents drop. Tenants want either modern properties with all the mod cons or older style properties that have been presented to a good standard – and they are prepared to pay for the privilege. Rents for top quality properties in Melton Mowbray have risen by 0.4% in the last month. Any properties, old or modern, put on the market in good or excellent condition will rent in a matter of days. Interestingly, looking at Melton Mowbray property values on the Land Registry, throughout April 2015 (the latest set of data), property values rose in Melton Mowbray, with 0.1% growth, meaning they are now 4.3% higher than they were a year ago. Looking forward, after considering all the statistics and talking to other property professionals, I expect property values in Melton Mowbray to rise by 3% to 5% over the coming 12 months, following the Conservative victory. In a forthcoming article, I will discuss how the number of properties changing hands each month has dropped considerably in the last 10 to 15 years in the town. ...And so back to our landlord. Each property is unique and so as his tenancy agreement allows him to inspect the property with notice to the tenant, we will be visiting the property next week. 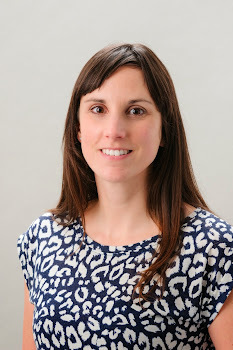 For more in depth thoughts and opinions, visit me in our office on Burton Street or call me on 01664 569700. 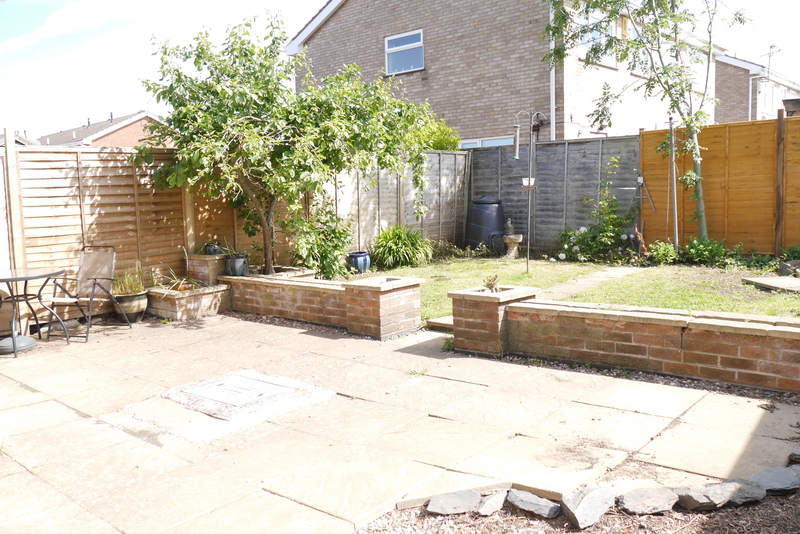 This property on Branston Crescent is for sale with Harrison Murray for £149,950. It looks in good condition inside and has the potential to get £650 pcm. If purchased at the asking price could see a 5.2% return. 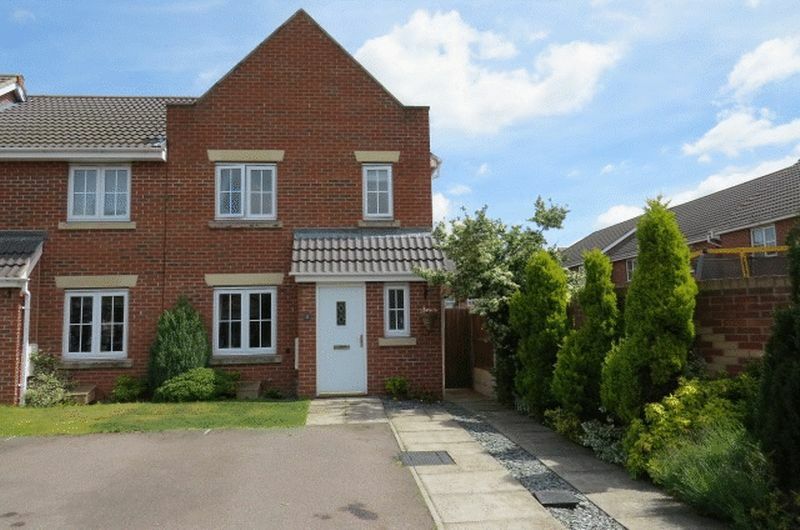 Branston Crescent is in a good location for walking into Melton and has a good primary school on the doorstep. 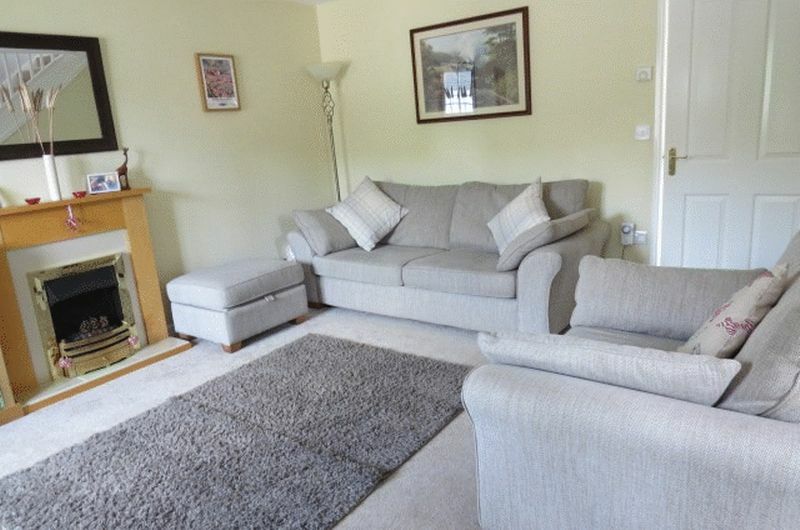 Newton Fallowell have just listed this great 3 bed property on Ullswater Road. it is for sale at £144,950 and as the agent says it would easily achieve £600 pcm. I think in the current market conditions we would be able to get £625 pcm and if purchased for the asking price then this could see a potential return of 5.1%. These modern properties are very popular with tenants as the utility costs are low in comparison with older properties. Melton Mowbray Property Market – Post Election Blues? With the election now over and the stability of Downing Street secure, with David Cameron and the Conservatives as the largest party in Westminster, in Melton Mowbray (as in the rest of the UK) average wages are beginning to grow faster than inflation. This is good news for the Melton Mowbray housing market, as some buyers may be willing or able to pay higher prices given the more certain political outlook and attractive inexpensive mortgage rates. However, sellers who think they have the upper hand due to the lack of property for sale should be aware that we should start to see an increase in the number of people putting their properties on to the market in Melton Mowbray giving buyers some extra negotiating power. At the last election in May 2010, there were 285 properties for sale in Melton Mowbray and by October 2010, this had risen to 377, an impressive rise of 32% in five months. An increase in the supply of properties coming on to the market could tip the balance in the demand and supply economics seesaw, thus potentially denting prices. However, as most sellers are buyers and confidence is high, this means there will be good levels of property and buyers, well into the summer, as demand will continue to slightly outstrip supply. Just before we leave the run up to the election, it is important to consider what the uncertainty in April did to the Melton Mowbray property market. I mentioned a few weeks ago that property values (ie what properties were actually selling for) had risen by 0.3% in March 2015. Now new data has been released from Rightmove about April’s asking prices of property in Melton Mowbray. It shows that pre-election nerves finally came home to roost in the final weeks of electioneering, with the average price of property coming to market only increasing by a very modest 0.7% (April is normally one of the best months of the year for house price growth). I am sure our local MP, Alan Duncan, would agree that the biggest issue is the lack of new properties being built in Melton Mowbray. The Conservative manifesto pledged to build 200,000 discounted starter homes for first-time buyers in the next five years. For Melton Mowbray to gets its share, that would mean only 39 such properties being built in Melton Mowbray each year for the next five years, not much when you consider there are 21,490 properties in Melton Mowbray. Housing is not a big issue for Conservative voters and because London is an increasingly Labour city where the biggest housing issues are found by a country mile, so will it remain on the ‘to do list’ but won’t get recognition it deserves. Until another political party gets back into power, nothing will seismically change in the property market, thus demand for housing will continue to outstrip supply, meaning property values will increase (good news for landlords). However, as rents tend to go up and down with tenant wages, in the long term, rents are still 4.86% lower than they were in 2008 (good news for tenants)... with renting everyone wins! Call me on 01664 569700 or pop into our office on Burton Street for impartial advice on buy to let investments. 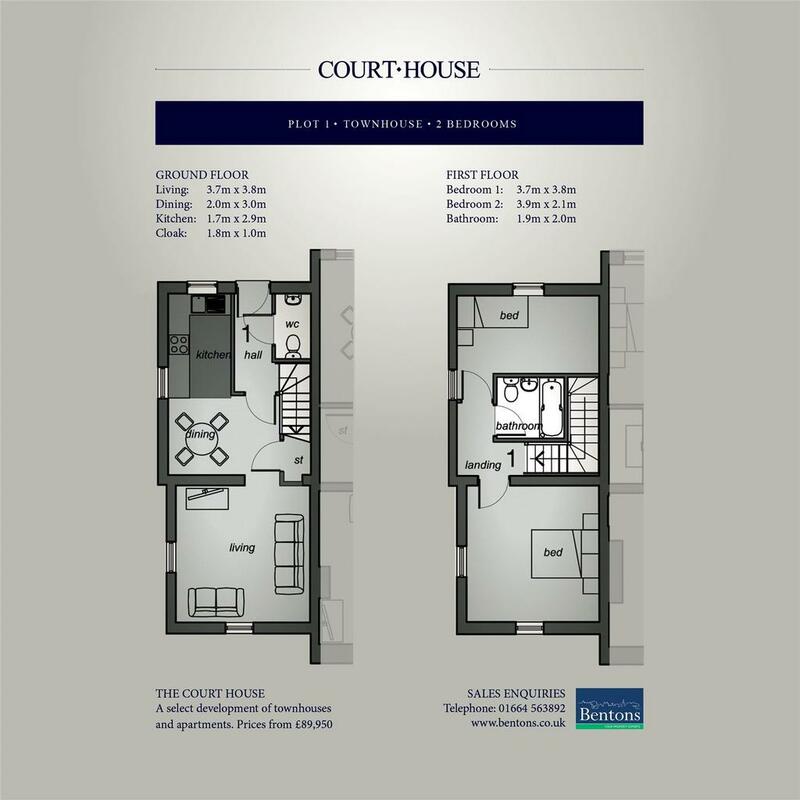 This apartment is for sale with Harrison Murray and they have reduced the price to £99,950 which makes this a great potential buy to let investment. The apartment is split over two floors and has secure and well maintained communal areas, there is allocated parking and it is a short walk to the town center. Melton Mowbray Buy To Let – Should you look further afield? I was at a recent business networking event in Melton Mowbray, when a landlord (who it transpired had a couple of Buy to let properties) bent my ear on where the next hot spot town or city is to invest his money in and where the best rental yields are. It can be tempting to just look at Melton Mowbray when growing a buy to let property portfolio, but there can be big differences in the amount of rental income you receive and how much your property will appreciate by considering other locations in the country. When reviewing the performance of an investment a landlord needs to consider yield and capital growth. Landlords should be looking for a high rental yield so that they can comfortably cover any mortgage payments and make some profit from the income return, but you also want the property to rise in value over time so you can get some capital growth when you come to sell. However, high yielding property in say such areas as Dieppe Way in Melton Mowbray will suffer from low capital growth, in such upmarket areas as Burton Road, properties offer good capital growth, but at the expense of a decent yield. The North East and North West of the UK are landlord magnets for great yields. The average yield in Melton Mowbray today is 4.04%, which when you compare with say Hartlepool in the North East, which achieves 7.73% or 9.43% in the Anfield area of Liverpool, doesn’t look too healthy. Now of course, these are only averages and some of my Melton Mowbray landlords are achieving 6% to 7% on some of their Melton Mowbray properties, but at the expense of capital growth. Anyway, after wasting a tank full of petrol up the A1 to Teeside or the M1 to Liverpool, the Liverpool property would have dropped in value by 2.2% in the last 12 months and the Hartlepool property would have dropped by 1.4%. When you compare the long term house price growth, it gets even worse. Looking at the graph, Since 1995, property values in Melton Mowbray have risen by 155.04%,compared with Hartlepool at 21.02% and Liverpool at 90.11% – it just shows you shouldn’t always chase the yield because of the poor increases in property values in those two places. As I always like to explain to landlords when they either email me, pick up the phone or pop into my offices for a coffee, together with soon to be FTL’s (first time landlords)), a decent yield is important, but when you come to sell your buy to let property it would also be nice to make a decent profit. Any profit you can make when you come to sell it, on a buy to let property is known as the ‘capital gain’ ie capital growth. At the end of the day, as a Melton Mowbray landlord, you want to be making gains from both your rent and house price growth, particularly when you want to sell, because when combined, the rental yield and capital growth, that gives you the real return on your investment. Finally though, do you know Hartlepool and Liverpool as well you know Melton Mowbray? Do you know where the good and bad areas are in both those places? Are you happy that it would require you to take a day out of work if there was an issue with your property in the North? If you can’ t answer yes to all three questions, then maybe you should be considering a closer to home? What a great opportunity for a new buy to let investor, for sale with Bentons this 2 bed apartment has parking and would easily let for £475 pcm. It has a parking space and is close to the town centre. 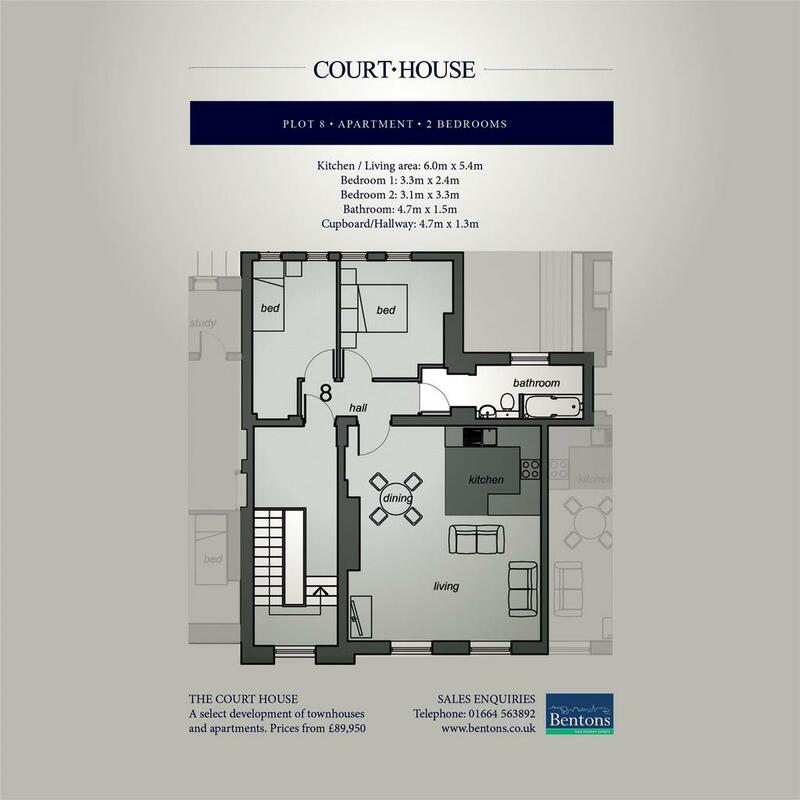 There is massive demand for 2 bed properties and this apartment will have gas central heating and is newly developed. When making an investment in property it is important to consider the monthly out goings, especially with a leasehold property. Please do not hesitate to give me a call to discuss the letting market in Melton Mowbray. Another potential investment on Brook Street? 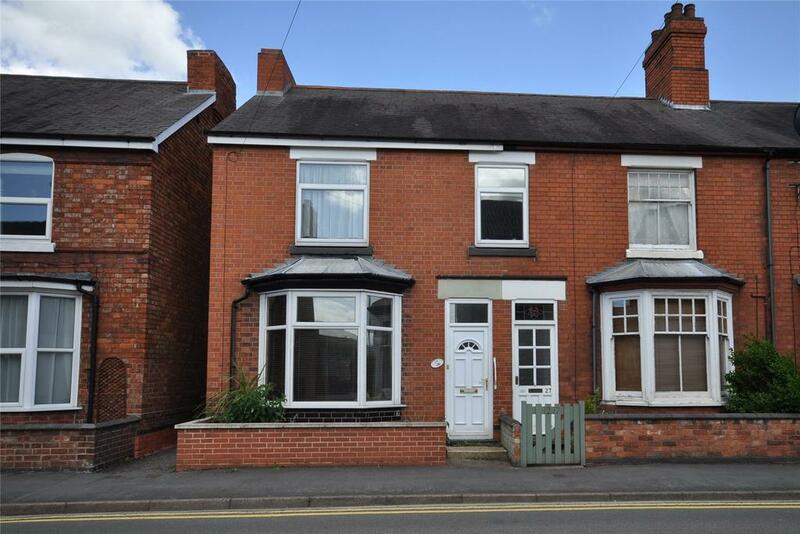 This large 3 bed house is on the market for £117,950 with Bentons and should let for £550 pcm. 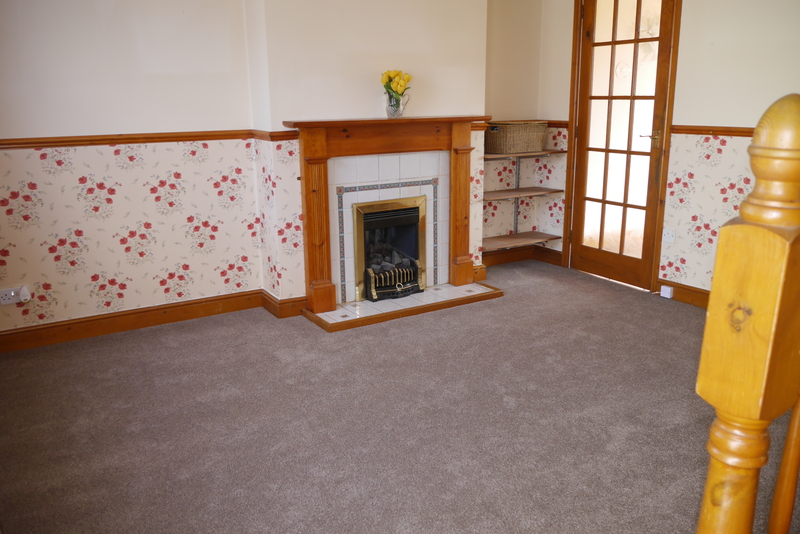 I am not sure if it needs work as there are limited pictures but if the rest of the property is as nice as the lounge then 5.59% return should be possible. We were really excited to see the scaffolding go up at the Court House in Melton Mowbray and now our friends at Bentons are selling the units in this development. There is a mix of apartments and townhouses the most desirable of which will be the 2 bed townhouses. 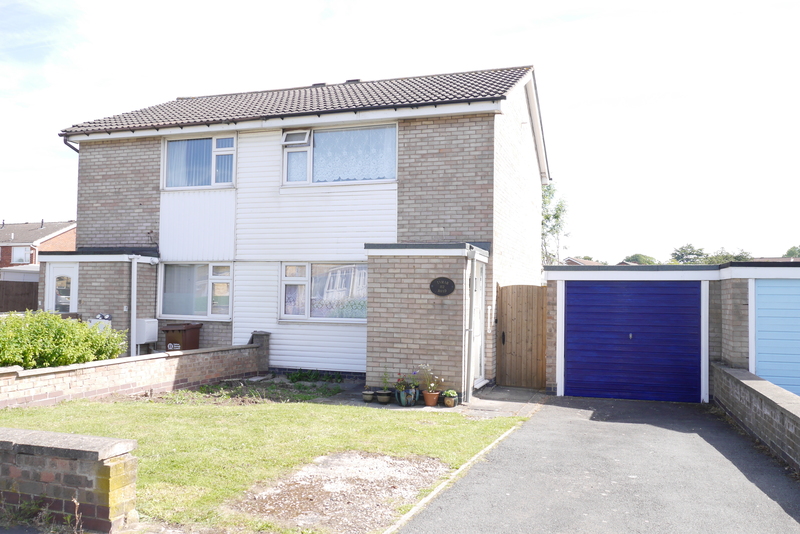 Selling for £105,000 with a car parking space (essential) these would easily let for £495 pcm achieving 5.6% return but we may get £525 pcm when they are finished. This would produce a potential 6% return. Is the Melton Mowbray Property Market in crisis? Since the 1960’s more people have owned their own home than rented but, for many young Melton Mowbray people, the dream of buying their own home is dying...or is it? Since the turn of the Millennium, in Melton Mowbray (as in the rest of the Country) there has been a significant change in the proportion of people who own their own home in Melton Mowbray. In 2001, 76.5% of homes in Melton Mowbray were owner occupied, today the figure is 72.1%, a significant decline in such a short time. Buy to let landlords can find tenants because young people say they cannot afford a deposit to buy unless they inherit money or are given a loan from the Bank of Mum and Dad. In Melton Mowbray, only 49.26% of 25 to 34 year olds have a mortgage. When you compare Melton Mowbray against the national average of 35.93%, it just shows how different parts of the country have different housing markets. However, the really interesting fact is this ...Roll the clock back to 1991 and nationally, 67% of 25 to 34 year olds had a mortgage. After WW2, the supply of properties being built kept up with demand as millions of council homes were built (the most being built in 1950s, surprisingly under Conservative Governments!). Also private house building increased in the 1950’s, but especially in the 1960’s and 1970’s, and as the Country got more prosperous it meant that by 1971, there were more home owners than renters. 95% mortgages have been available to first time buyers since late 2009, but with property prices rising by 193.7% since the Winter of 1995 in Melton Mowbray, as property prices have been rising and first time buyers have been saving, the amount they have to save is continually rising at the same time. The stress on saving even for that kind of deposit, coupled with the new stricter mortgage rules introduced in 2014, means that most 20/30 something’s in Melton Mowbray are renting instead of buying. The issue quite simply comes back down to a lack of new homes being built. In Melton Mowbray, only 187 properties a year are being built whilst the population is rising by 240 a year. The supply of new homes has been limited by planning laws, local councils not having the money to build council houses, hard hitting green belt limitations, and our old friend NIMBY’ism. With a rising population and net migration, especially from the EU, the mismatch between demand and supply is why we have the problem. Until Politician's have the backbone to realise the Country needs a lot more decent homes built, the problem will just get worse. In the meantime, demand for rental property will continue to grow because people need a roof over their head at the end of the day ......fact. For impartial advice on where to buy your next investment property please call me on 01664 569700 or pop into out Office on Burton Street.